Together Resilient: On Class & Race – Half Off! Do you have your copy yet? 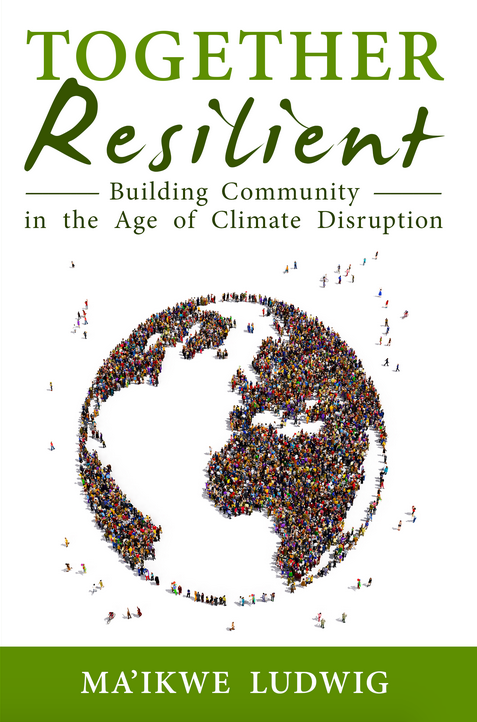 Together Resilient is on sale at half off for a limited time! Get your copy of the book for only $9 right now! “Bottom line is that we can’t solve the climate crisis without simultaneously looking deeply at racism, sexism and economic injustice. And that means work: hard work to root racism, sexism and classism out of both our individual consciousnesses and our collective culture and systems. “Black Lives Matter has done an amazing job of bringing a lot more attention to race issues in the US, and doing it in a way that is unapologetic, clear and invitational for others to join in. Activists like Van Jones have long been drawing attention to the links between race and the environment. We have a long way to go following the lead of people of color, and for us white folks, stepping up to the plate as allies and partners in dismantling a system that we continue to benefit from. Curious about Yana’s name change? It is also a discussion of race. Check out this blog. What’s this Communities buzz you speak of? 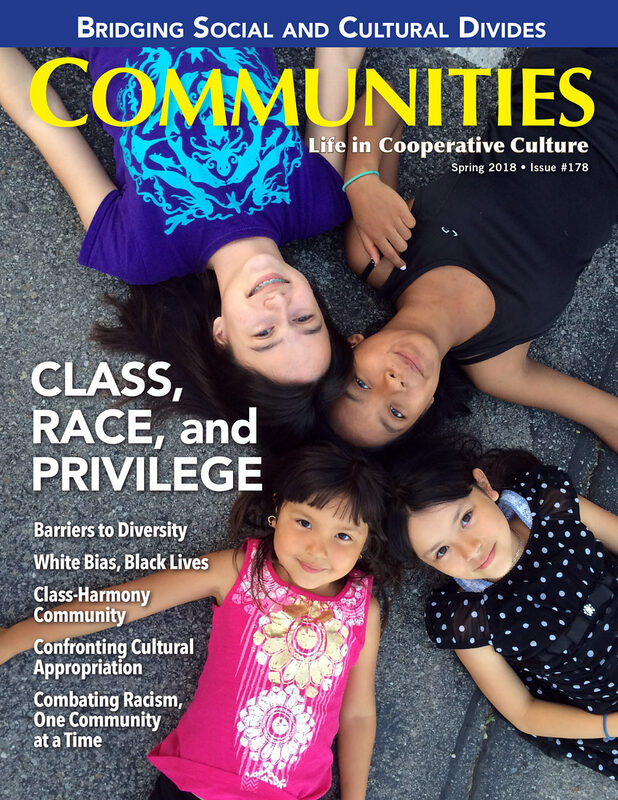 Not only are we really proud of the current issue of Communities magazine, which looks unflinchingly at the “elephant in the room”―the relative lack of racial and class diversity in most intentional communities―but we are also experimenting with offering the digital issue complete free (or by donation) in hopes that we can successfully operate from an open source economic model that aligns with our mission statement. If you support what we’re doing, download the issue! And if you can afford to support us financially, please offer a donation so that this experiment can become permanent.